Sagent Management is a global leader in Financial, Tax and Operational Services. Our clients range from early-stage startups to Fortune 1000 companies operating in high-tech, biotechnology, clean technology and other industries. With over 100 expert professionals around the world we have become trusted business partners to founders, investors, CEOs and CFOs of leading high-growth companies. The Sagent team features professionals with vast global expertise and significant client-side experience. Each of our lines of service (e.g. CFO Services, Accounting, Tax, Human Resources, Business Regulations & Operations, etc.) are led by a Worldwide Practice Director. We are proud to have built a global ecosystem of investors, vendors and other service providers who empower our clients to grow, both domestically and internationally. Founder of Sagent Management, Leo Yen is responsible for directing the strategic and client operations of the company. By directly interacting and collaborating with clients, he is able to gain a thorough understanding of their needs and develop tailored services for each client. Leo also advises clients on strategic and technical financial matters. Representative engagements include international tax structuring and planning, fundraising, mergers & acquisitions advisory and regulatory and statutory law compliance. Leo has served as CFO for a publicly-traded U.S. company based in the Silicon Valley as well as interim and acting CFO for numerous clients, where we led their financial activities and operations. Prior to founding Sagent, Leo held senior positions at PricewaterhouseCoopers and Ernst & Young where he directed the tax consulting accounts of emerging and established technology companies as well as finance, real estate and biotech clients. A CPA in the state of California, Leo holds two bachelor’s degrees from California State Polytechnic University in Pomona where he majored in finance, accounting, real estate and law. Oded Zaltsman has over 15 years of extensive managerial, financial, accounting and operational experience in a variety of global organizations. He specializes in evolving early stage startups into well-established, global operations. Oded’s expertise lies in strategic business planning, fundraising and operational management. Over the years, he has cultivated strong working relationships with investors based in the US and Israel, as well as with a multitude of service providers. Oded joined Sagent Management from Xeround, Inc. which provided a fully managed Cloud Database-as-a-Service (DBaaS) solution, where he served as Chief Financial Officer and Site Manager. He was a key participant in highly successful fundraising processes from leading VCs based in the US and Israel, and managed the Finance and Operations (Production, Customer Support and QA) departments. 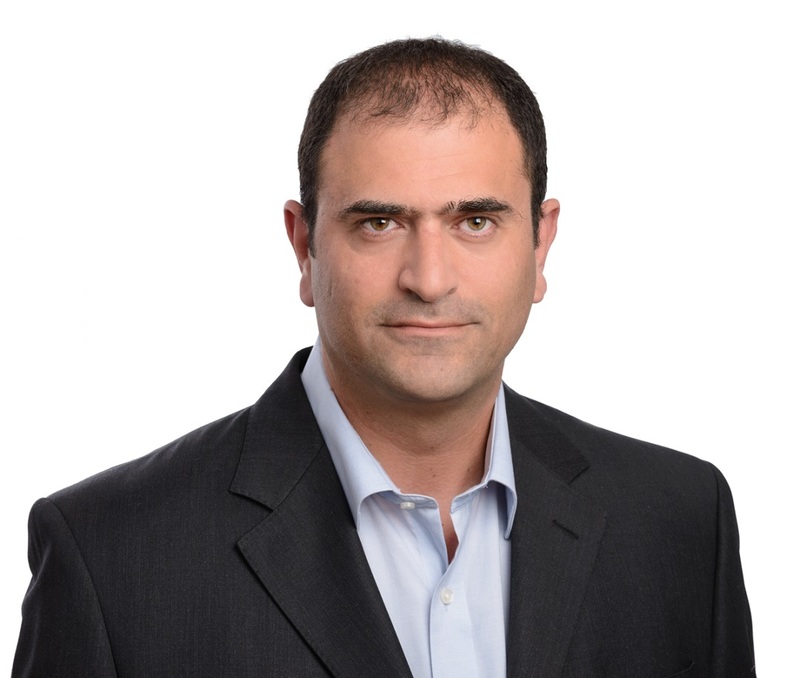 Prior to Xeround, Oded served as Vice President of Finance & Operations at Infineon Technologies Savan Ltd, a subsidiary of Infineon Technologies AG (NYSE IFX), an international semiconductor-industry leader. In this position, he managed all operations and administration departments for Savan, including Finance, HR, Administration, Logistics, Purchasing and IT. A CPA, Oded holds an Executive MBA in Business Administration from the Hebrew University of Jerusalem. Joseph Chang is a finance expert with in-depth experience at top accounting consultancies KPMG, PricewaterhouseCoopers and Deloitte & Touche, as well as online travel leader Orbitz.com. Joseph specializes in financial modeling and analysis, business valuation and industry research to determine the most appropriate pricing of goods and services in a broad range of industries. His broad background includes leading large, cross-functional client teams and business development and sales activities resulting in annual revenues of $500 million. Joseph holds a master’s of business administration from the Yale School of Management with concentrations in strategy and corporate finance, and a bachelor’s of arts in economics, with honors, from The University of Chicago. Amy Giang oversees multiple accounting teams that provide bookkeeping services and prepare consolidated financial statements. She also consults on technical accounting issues and prepares investor reporting for various clients. Prior to Sagent, Amy assisted in directing the financial management functions, including the development of monthly and quarterly financial statements, financial forecasts and budgets, for Central City Association of Los Angeles, a business membership organization representing over 450 businesses, trade associations and non-profits. She also brings vast experience leading internal audits to ensure regulatory compliance and operational efficiency and accuracy. Amy graduated from California State Polytechnic University, Pomona, with a bachelor’s of science degree in finance, real estate and law with a specialization in finance. Derrick Karner specializes in handling financial and tax consulting projects for clients, ensuring their programs and statutory filings comply with all applicable laws and regulations. Analyzing clients’ financial records, he translates the data and addresses the tax issues while also advising clients on their options for managing complex tax matters. Derrick specializes in start-up corporate tax matters and also heads the individual tax practice for the firm’s high net worth clients. Derrick is a dynamic and motivated professional who has a bachelor’s degree in business economics with emphasis in accounting from University of California, Santa Barbara. He formerly worked at PricewaterhouseCoopers, where he acquired valuable experience managing clients’ tax returns and tax issues. SonYong Lee specializes in corporate taxes and leads the firm’s efforts in federal and state tax compliance, income tax provision and tax research. She also consults on U.S. and international tax issues. Prior to joining Sagent, SonYong worked at Deloitte Tax in the Large Corporate Tax Group, where she was extensively involved in assisting Fortune 500 companies in meeting their tax filings and reporting requirements. She also worked at Arthur Andersen in the Transfer Pricing Group, assisting multinational corporations with the arm’s length pricing of their intercompany transactions. SonYong graduated with a bachelor of arts degree in International Relations from Stanford University and a master of science in Taxation from DePaul University. She is a licensed CPA in the state of Illinois. Nicole Stolmeier oversees and manages several client teams that handle bookkeeping and the preparation of consolidated financial statements. She consults regularly on technical accounting issues and also prepares investor reporting for various clients. Nicole brings strong finance and accounting expertise to Sagent. Most recently, she was an external financial auditor for a regional firm in Illinois performing complex financial reviews. Nicole also implemented accounting and management systems for clients to improve reporting. In other positions, she has trained staff and implemented internal controls and workflows for new accounting functions. Nicole holds a master’s degree in accounting from St. Ambrose University and a bachelor’s of science degree in business – accounting from the University of Phoenix. She is a CPA registered in the state of California. Copyright Sagent Mangement LLC, 2015 | Designed by Super Simple Games LLC.